Park City, Utah is made up of a mere 8,128 residents (as of 2015), yet it is also home to the largest ski resort in the United States. Park City even hosted nearly half of the events in the 2002 Winter Olympic Games! I was quickly enamored with this small, colorful town that brought in visitors from all over the world. The snowcapped peaks grew larger as our plane flew closer to Salt Lake City. The mountains seemed to go on forever into the distance, covered in the fresh powder from the recent snow storm. A whopping 294 inches of snow had already adorned Deer Valley, one of Park City’s top ski resorts, since their opening day on December 3rd, and there was still plenty of winter remaining. It appeared that good times lay ahead for winter sport enthusiasts! Luckily, we got there just in time to enjoy the fresh snow along with the sunshine. We arrived in Park City during the tail end of the Sundance Film Festival, so there was an especially vibrant energy running through the town. While we didn’t catch any celebrity sightings, the mountains were pretty empty because of the festival, so it was smooth sailing on the slopes! The ride to Newpark Resort was an ongoing stretch of towering mountains that had me mesmerized despite how heavy my eyes were after a morning of traveling. We checked into the hotel, went up to our room, and opened the door to find a hallway that led to a cozy living room with an electric fireplace, kitchenette, a glamorous bathroom with heated floors, and a separate bedroom. Let me back up — there were heated floors in the bathroom. I never knew heated bathroom floors existed but now I know I need them. The back door opened up to a deck with a private hot tub and mountain views to top it off. It definitely came in handy after a long, cold day on the slopes! Our private hot tub with a view at Newpark Resort! When Vail Resorts acquired Park City Mountain Resort (PCMR) back in 2014, things got real for the skiing community. PCMR was merged with their neighboring Vail-operated Canyons Resort, and the two resorts are now connected by the Quicksilver gondola and make up the largest ski resort in the United States, spread out across more than 7,300 acres. You can really ski all day as there are plenty of places to eat on the mountain without having to head down to the base. We stopped at Miner’s Camp for lunch, which had loads of options including Mediterranean kabobs, gyros, pizza, burgers, and homemade soups and chili. We spent a day out on the mountain from the Park City Base Area and had come to town at just the right time. Park City had recently been hit with a snow storm that left plenty of snow and sunshine for us in its wake. Utah was certainly making its case for having the “Greatest Snow on Earth!” Since we also happened to be there during Sundance, the slopes were less crowded than usual so we rarely had to wait at all to get on the lifts. Taylor Albers from Park City Mountain was our guide for the morning, and she showed us around many areas we might not have discovered otherwise. One of my favorites was the view from the top of McConkey’s Express where you can see out into the distance for miles. Taylor explained how the lift is named after Jim McConkey, an extreme skier and the father of Shane McConkey, a professional skier who took the sport to the next level by BASE jumping with skis on. While we were on the lift, Taylor had pointed out some fun looking tree-skiing trails called “adventure alleys.” They may be meant for kids, but don’t let that stop you — they are loads of fun for adults too! Just look for the cute snowbugs that mark the various adventure alleys throughout the mountain. We took a stop during one of our runs and Taylor asked if I wanted to try an adventure alley. We were approaching her favorite, Powder Monkey. I was on board! “The key is to bend your knees and lean forward like you’re pushing the front of your shins against your boots,” she advised. Your quads will be burning by the end, but your inner child will thank you for it! On the night we arrived after settling in, we ventured out to mid-mountain Deer Valley, the part of the resort known as Silver Lake. The area had a special charm to it as dusk was falling with the lights shimmering off the snowcapped trees. After roaming around, we had worked up an appetite for our reservation at The Mariposa. As we got comfortable at our fireside table, the waiter stopped by to give us a rundown of the menu and the ordering process. “People typically choose between three to five courses. I myself do six, but that’s another story,” he joked. We went with four each and a fifth to share. The nori and sesame seared #1 ahi was one of my favorites. The lightly seared ahi served with pea shoots, cucumber, avocado, fresh grated wasabi, and soy and ginger sauces was a pleasant surprise for my taste buds. If your mouth is already watering, read my post entirely about The Mariposa. Another night, we stumbled upon an Asian fusion restaurant on Main Street called Wahso, which also happened to be recommended to us by one of our Uber drivers. We started out with the kung pao shrimp, one of the best parts of the entire meal in my opinion, followed by the pear and endive salad. For entrees, the Wahso beef and broccoli filet mignon and the crab crusted salmon were both a win! They also serve a wild mushroom miso, which was quite possibly the best miso soup I have ever tasted. For drinks, The Spur was our bar of choice. We both ordered an “ice climber,” an energizing, eclectic mix of reek Icelandic vodka, chambers, red bull, and ginger beer that I would highly recommend. The Spur is the kind of place where I could spend all night hanging out and listening to live music. Our Park City experience concluded with The Eating Establishment for brunch, the perfect way to close out the trip. A Belgian waffle with real maple syrup complemented by a fresh mimosa was exactly what I needed to start my day. As we walked down Main Street that morning after brunch, it was as if there were still faint reverberations in the air as the crowds from Sundance departed town. 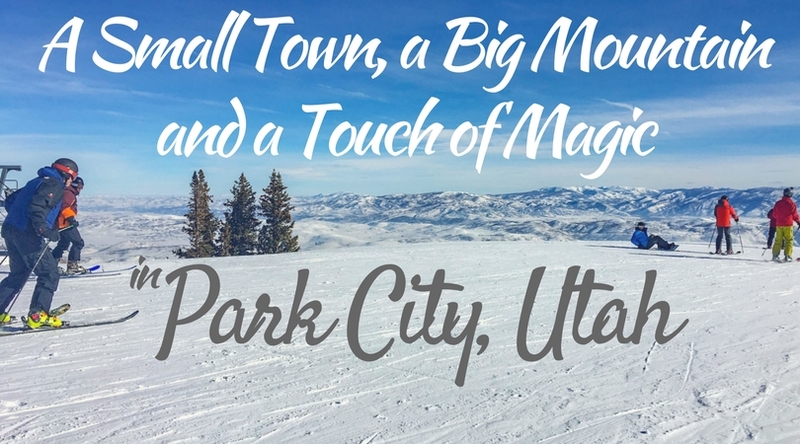 Yet, it seemed to me that in the small town of Park City, Utah, there is always a lingering magical feeling. Vail Resorts may be a powerhouse, but Park City hasn’t lost its charm. The many friendly welcomes that greeted us throughout our stay made it easy to feel right at home. While this trip was facilitated by Visit Park City, this did not affect my views and all opinions are my own. I’ve never been to Park City, but my husband and I are dying to go skiing with all the snow the west has received this year! Looks fantabulous! Seriously! The amounts of snow especially in Utah have been insane! I’ve been wanting to go to Park City for a while and your post proves I need to make this happen sooner rather than later! This looks like an amazing experience! I’ve missed the snow this year in DC. Wish Utah was closer! It sure was! The good thing is that it’s a quick trip from the airport to get to Park City. Sometimes it can be quite the trek to get to ski resorts when flying in! Utah was one of the most surprising states I visited on my sabbatical. I was so impressed with Southern Utah that I have no doubt the skiing area is amazing. You look like you had a great time. The hubby and I will be looking to do some skiing next year, Park City seems like it is going to be on the top of the list! It truly is a fantastic ski destination! So easy to get to from the airport as well. I hope to be able to explore more of Utah soon! Beautiful photos! We spent 4 months housesitting in Salt Lake City last year and made a day trip to Park City once. We don’t ski so we didn’t experience the slopes but the town was cute to walk around and we did some hiking in the area…Utah truly has the most amazing landscapes! It really does! I loved the town of Park City, definitely a cute area! I love Park City – I turned down a job there years ago and have been kicking myself ever since! Great tip that the slopes are quieter during Sundance, too!